Gross National Happiness (GNH) was born from the realization that the development paradigm of the 1970’s, measured solely by the acceleration and deceleration of Gross Domestic Product (GDP), did not translate into increasing and decreasing happiness. Rather, GNH is based on the notion that money doesn’t equal happiness, and that material progress is one, but not the most important, contributor to well-being. Sustainability stands for the moral responsibility of each generation to ensure that its comforts do not come at the cost of less opportunities and resources for future generations. The principle of sustainability urges moderation of consumption on the basis of real needs. When landing in Bhutan, one notices the absence of billboard advertising of any kind. At the Paro International Airport, you are welcomed by a giant outdoor poster of the royal couple, the 5th King and his wife, the only billboard you will see during your stay. This is a striking change if you fly in from Bangkok, Singapore or New Delhi, with their huge, colorful and blinking billboards. Advertisements are banned in Bhutan so as not to encourage consumerism. Equity means that the benefits of development must be equitably distributed across all social sectors at the regional and community levels. 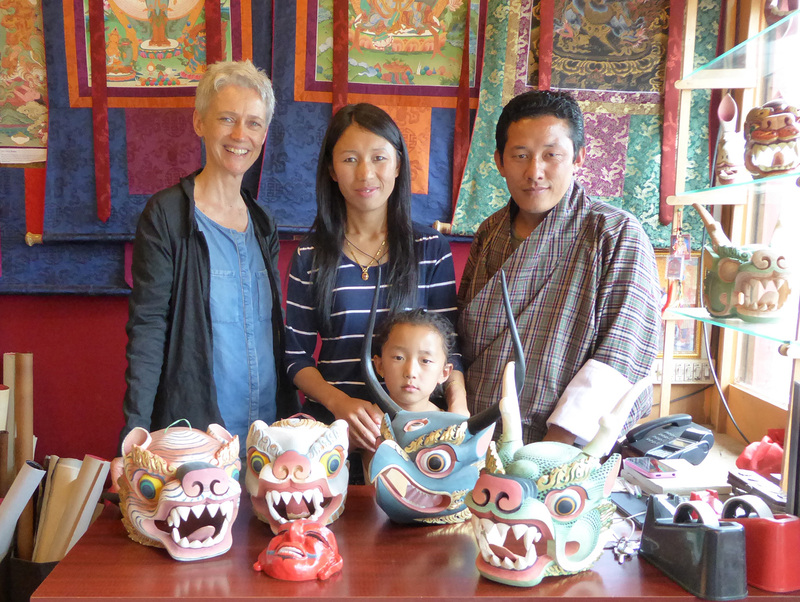 It is widely known that tourists visiting Bhutan must pay US$ 250 per person per day. This all-inclusive fare covers accommodation and transportation in Bhutan, a guide, food, and entry fees. What is less known is that the “tourism royalty” portion of this fare (US$ 65 per tourist per day) is used by the government to finance social sectors. The Constitution of Bhutan charges the Royal Government with providing “free access to basic public health services in both modern and traditional medicines” and “free education to all children of school-going age up to Grade 10”. Thus, all the Bhutanese society benefits from tourism, with the free access to health and education being paid virtually by the tourists visiting the country. Culture is seen by GNH as a set of tools that defines our values, shapes our identity and expressions, and guides our behaviors, relationships and practices. Bhutan has never been colonized. For a tiny country squeezed between India and China, the preservation and promotion of its distinct cultural identity is seen as essential to its survival as an independent and sovereign state. 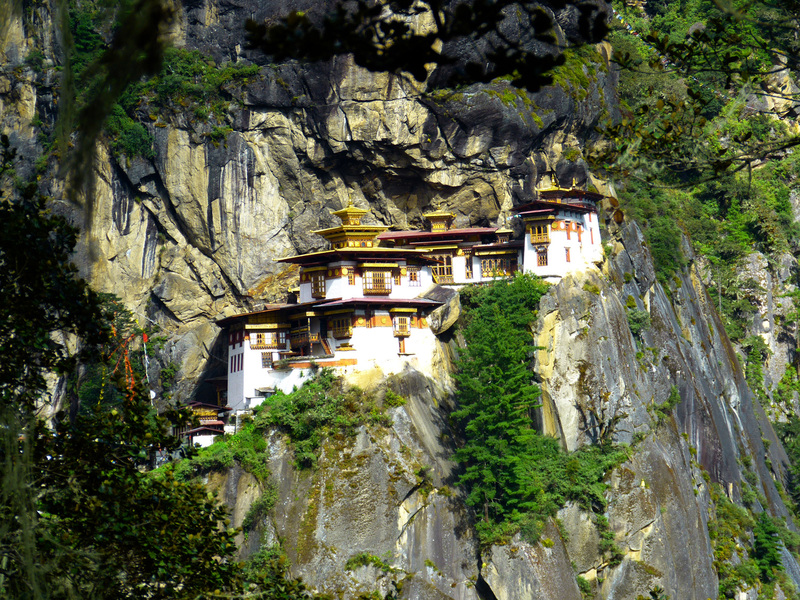 The country’s rich heritage was initially protected by Bhutan’s isolation from the modern world until the 1960’s. The “One Nation, One People” policy proclaimed in 1989 was an attempt to reinforce the local culture while opening up to the world. Under this policy, the Driglam Namzha, a seventeenth-century code of conduct, was reinforced, thereby defining how citizens should dress in public and behave in formal settings. It also regulates a number of cultural assets, such as art and architecture. In Bhutan, articles for everyday use are still largely fashioned as they were centuries ago. Many Art Schools exist, with classes providing instruction in Bhutan’s 13 traditional arts and crafts (known as Zorig Chusum). Students specialize in painting (thangkas, wall paintings, etc. ), woodwork (temple masonry, mask carving, etc. ), statue making (made of clay, bronze, wood, etc. ), tailoring (boots, clothes), etc. The schools contribute to the preservation of traditional culture, while simultaneously securing a future source of income to their students. Ultimately, happiness in the GNH philosophy is about relationships more than anything else. It’s about caring and sharing, about having friends, and knowing that you are not alone. The third GNH pillar deals with the dynamic space in which we all live, insisting that our way of life should accommodate nature and aspiring for man and nature to abide in harmony. When flying into Bhutan, one remains speechless looking at its pristine nature. Majestic mountains, large valleys, narrow gorges, and rich forests as far as the eye can see, the latter currently covering 71% of the country. The Bhutanese have always tried to live in harmony with their nature. And for the government, the health of its environment, fauna, flora and biodiversity is an everyday concern. Bhutan is the only carbon negative country in the world, and is committed to remain carbon neutral forever. 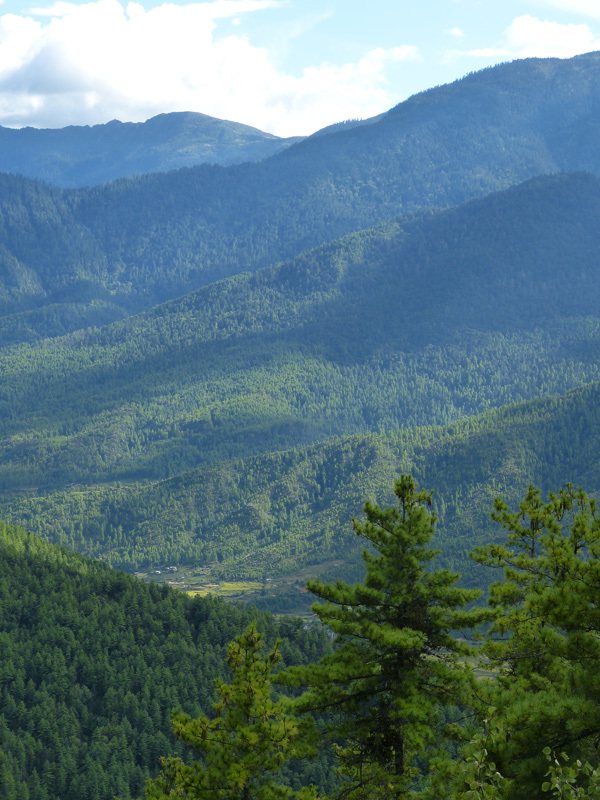 By its constitution, Bhutan preserves (at all times) 60% of its land under forest cover. The government’s target is making the country’s agricultural system 100% organic by the year 2020. Mountain climbing higher than 6,000m has been prohibited since 1994, both to preserve nature and to not disturb the deities living on each mountain peak. In 2015, 100 Bhutanese volunteers set a new world record by planting 49,672 trees in one hour. In 2016, tens of thousands turned up to help celebrate Prince Jigme Namgyel Wangchuck’s birth by planting 108,000 tree saplings. Good Governance is considered a pivotal pillar of GNH, since it is the key to ensuring the strength of the other three pillars. The 4th King decided to transform the country from a monarchy to a constitutional democracy despite protests from the population, which was very happy with its royal leadership. He insisted that it was not wise to leave such a small, vulnerable country in the hands of only one leader who was chosen by birth and not by merit. To summarize, GNH is technically defined as a “multi-dimensional development approach seeking to achieve a harmonious balance between material well-being and the spiritual, emotional, and cultural needs of society.” It is based on four pillars, which are further elaborated into nine domains (such as living standards, education, community vitality, time use, etc.). These articulate the different elements of GNH in detail and form the basis of various GNH tools. Aimed at reviewing all development policies and projects under the lens of GNH by a Commission. Supported by 48 indicators, which can score a maximum of 192 points (48 x 4). All projects or policies scoring less than the neutral score of 144 (48 x 3) are rejected. Aimed at measuring the level of happiness and well-being of the population on a regular basis. Supported by 33 indicators. The survey results are used for policy making to increase the GNH in Bhutan. The GNHI is culturally bound, and as such cannot be exported or applied to other countries. However, it reveals much about the Bhutanese culture and its intrinsic values. Aimed at measuring the social responsibility and alignment of businesses and enterprises with GNH. Supported by 56 indicators.